I’ll be the first to admit that shaving isn’t one of my favorite hygiene habits. Yes, when it’s freezing outside and I know I’m going to be wearing long pants I may let shaving go for a bit even though I love the feel of freshly shaven legs. But, by the time May rolls around shaving once again becomes part of my regular schedule. It’s barely the first week of June and we’ve already had a few days where the heat index is 100F, after all. And I’ll even say that I’d rather wear my heaviest long pants out on the hottest day than risk showing a bit of stubble. 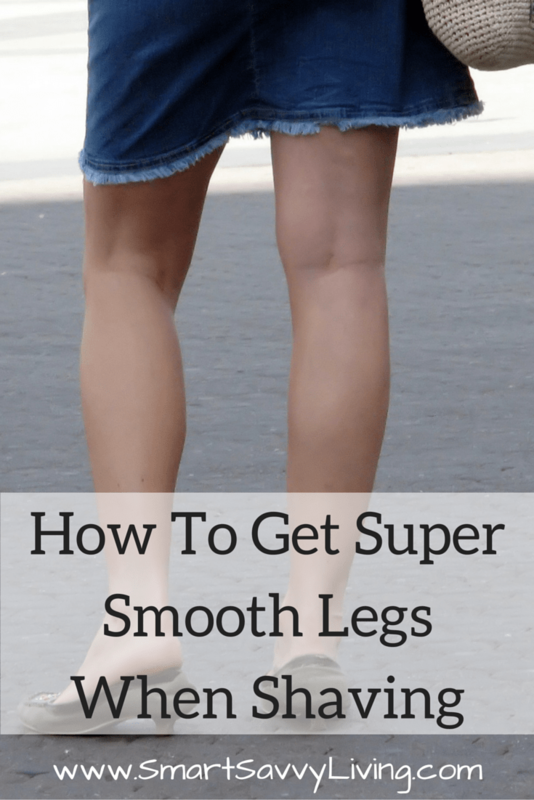 So, today I’m sharing some tips for how to get super smooth legs when shaving. It’s certainly a bummer to go to all that trouble only to still feel a bit of stubble, plus the smoother your legs, the more likely you can get an extra day or 2 in before shaving again. 1. Soak your legs in warm water before shaving. I usually feel like I have the smoothest shave when I shave after soaking in a warm bath. If you don’t have the time for a bath, at least wait until the end of your shower. The warm water will help open your pores, soften the hair, and soften any rough skin. While it may feel good, don’t use super hot water as it will just dry out your skin and make it feel rougher instead of smooth. 2. Give your legs a good scrub before shaving. Confession time. I have been in such a hurry that I shaved my legs without any sort of water or shaving gel. If you’ve ever done this and then tapped the razor and then seen the totally gross amount of dried skin that comes out you’ll already understand the importance of exfoliating your legs before shaving. If you don’t exfoliate well, the skin will just clog the razor and keep you from getting the closest shave possible for extra smooth legs. 4. Use a good razor. Perhaps the most important thing about a smooth, close shave is using a good razor. I totally understand wanting to get every last shave that you can from your razors, but just say no to dull razors as you’re wasting your time if you want a truly smooth shave. Lately, I’ve come to really like the Venus Swirl . It has 5 blades, so you know you’re getting a close shave, and has Flexiball technology, which means it easily contours to the curve of your legs for that super smooth feeling we all love. Venus also makes the Venus & Olay that includes moisturizing bars so you don’t even need shaving cream and the Venus Disposable that is great when you’re on the go. 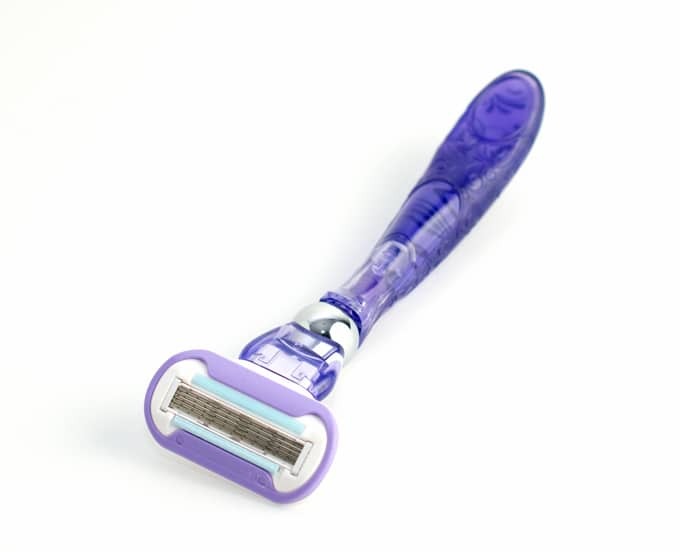 See the video above for more info about Venus razors to find which is perfect for your lifestyle and then head on over to Walmart to purchase so you know you’re getting the best price. 5. Rinse well and then moisturize. Once you’re finished shaving, take a few minutes to thoroughly rinse your legs to get rid of any soap or skin buildup that can leave your legs feeling rough and dry later on. I also like to moisturize my legs after shaving as it leaves them feeling extra soft and smooth. Just be careful of what type of lotion or oil you use. I find ones with mostly natural ingredients lead to less irritation, burning, and redness. Do you have any secrets for super smooth legs after shaving?